During transfer of the manufacturing technology from the Lab to the Industry, it is vital for the Process Engineer to develop the P & I Diagram that can effectively capture the knowledge imparted by the technologist and help design the manufacturing plant. P & I Diagram is a platform which helps all ideas, be it from the technologist, the client or the consultant, to be put on paper for better understanding of the process. The precursor to a P & I Diagram is the PFD or the Process Flow Diagram which essentially is a Block Diagram describing pictorially the process flow. 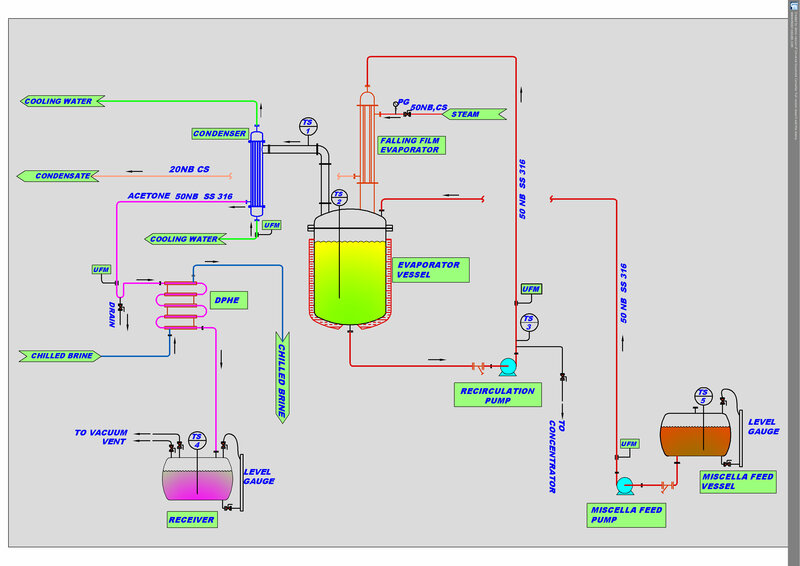 The Process & Instrumentation Diagram usually captures the sequence of material and utility flow for the manufacturing plant. Apart from the process equipments like the reactors, filters, dryers, etc. accessories like columns, condensers, pumps , blowers, and instruments like temperature sensors, pressure sensors, pH sensors, etc. also get incorporated in the P & I Diagram. As the diagram goes through more and more detailing, the pipelines get detailed with display of their size, schedule number, materials of construction with location of flanges or other relevant types of joints, valves. There are tags specific to the types of valves that are used – viz. ball, diaphragm, butterfly, gate, and so on. The P & I Diagram, once complete, becomes the basis for preparing the Bill Of Quantities (BOQ) or the Bill Of Material (BOM) which then paves the way for estimating the investment.